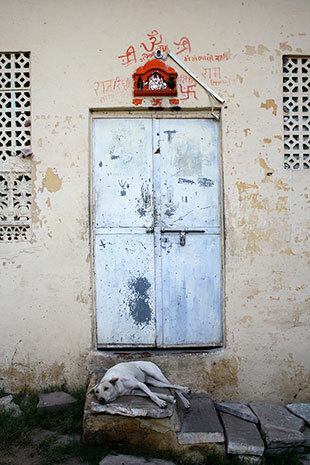 If you are frequent reader of this blog, you know that I love art, and have a soft spot for artists. My brother is an artists and I have friends and family members who are artists. I secretly wish I could sit in front of a canvas and easel and paint a landscape. It seems like a very pleasant way to relax. But I don’t possess one once of technical creative skill. But you would never know it by looking at a recent wee painting I completed under the tutelage of up-and-coming Boston-based artist, Patrick Shea. Patrick is a graduate of the fine art program at Cornell, and while his studio is in the Back Bay, he spends a lot of time traveling, capturing dynamic photographs that sometimes find their way on to his canvases. 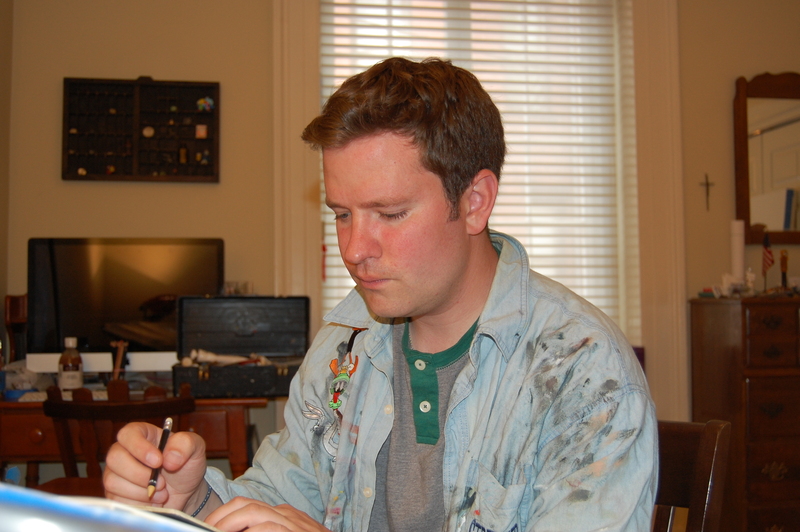 Patrick focuses on photography, painting and etching using copper molds. 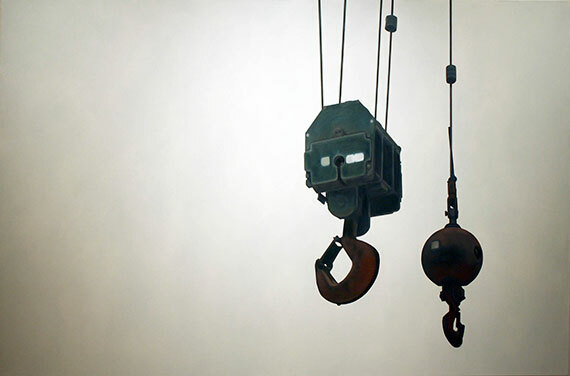 During my afternoon exploring his studio, and hearing about his work, I was stuck by how technical his approach is to his paintings, which can best be described as industrial. 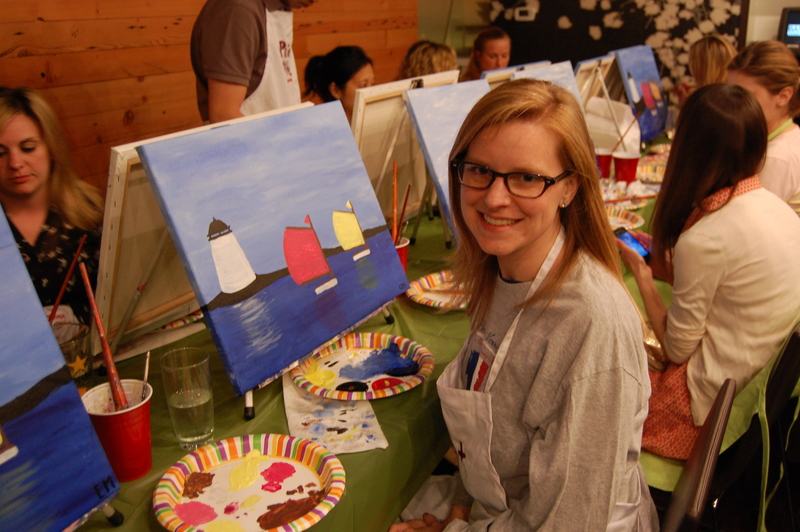 We focused our discussion on painting, seeing that is what Patrick helped me accomplish. Patrick’s process begins with very detailed sketches, not exclusively of what he wants to paint, but also of the dimensions of the canvas and the scale of what will be on that canvas. Patrick makes his own canvases, because these days most wood comes from China, and is prone to warping especially in New England where the temperature varies so much from season to season. 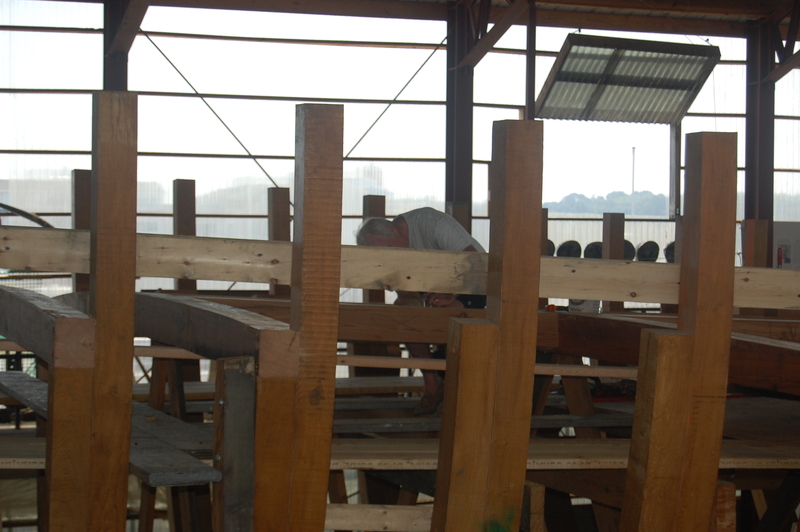 He uses a certain type of wood and reinforces the back so that its shape will never be compromised. Each canvas is constructed to accommodate a specific piece of art he is planning to paint on it. 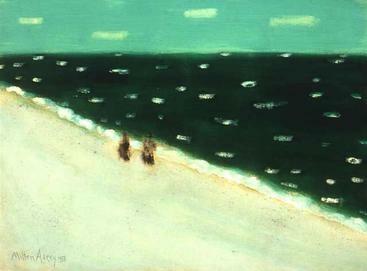 Frequently Patrick’s painting are based on a photograph he has taken on his travels. He uses that as a guide before studies because, “a photograph never lies,” he told me. In complete opposition to the way I image people painting (“happy little tree” style), Patrick’s work is very studied, with sketches and meticulous planning. It reminds me of one of my favorite artists (and one of Patrick’s as well, no wonder), Edward Hopper. Hopper created dozens of “studies,” or sketches, of different parts of a painting (a couple sitting at a lunch counter, the glow of the street light outside the diner) before he painted the finished piece. I saw an exhibit of Hopper’s studies years ago at the Whitney, and it made quite an impression. 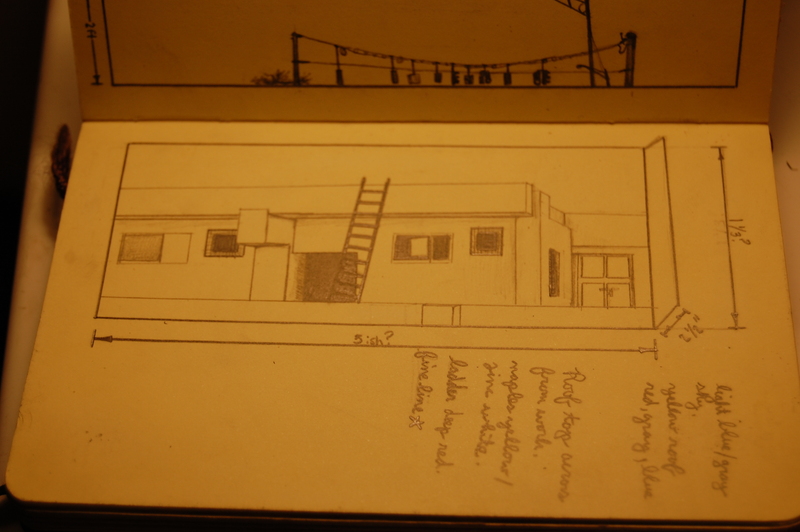 Like Hopper, Patrick’s work is detailed, in its preparation and execution. Why does he go to these lengths? “I have to get it right,” he explained to me. Sound familiar? I may have found the most Type A artists out there. How appropriate for me and this blog. Corita Kent’s “Rainbow Swash” is a Boston institution. What you’ve never heard of it? What if I call it “The gas tank?” Ahhh, now you know what I’m talking about. This is what I set out to paint. 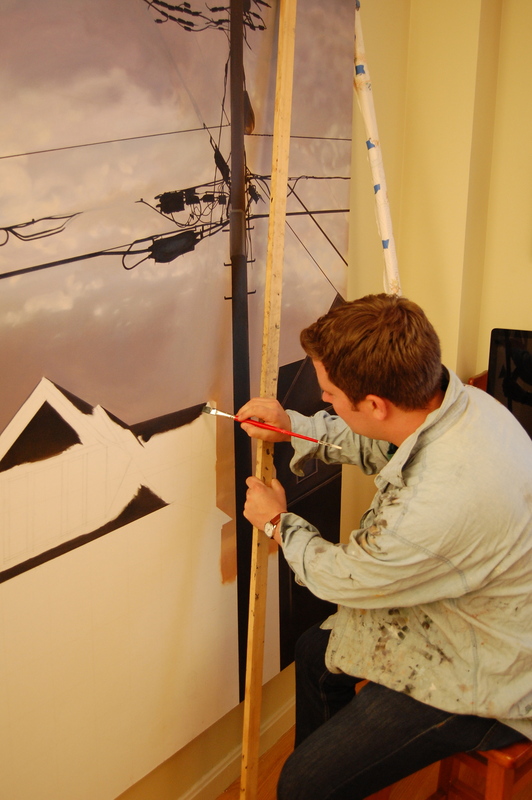 Patrick’s preparations for this lesson illustrates his attention to detail even before his brush touches the canvas. Patrick studied the gas tank, figured out what angle he wanted and the ideal weather conditions to have as a background. He waited for that perfect weather day and then he may or may not have waded into Boston Harbor to take this image below. I used his photograph as the basis for my painting. Patrick encouraged me to use tape to make sure the lines that would create the sides of my gas tank were completely straight, very much his style, which includes measuring and tracing on the canvas before ever picking up a brush. Once I got my soupy grey background done, and the solid white of the gas tank, it was time to get to the color. That’s when my lack of artistic skill gave way to the strategizer inside me. 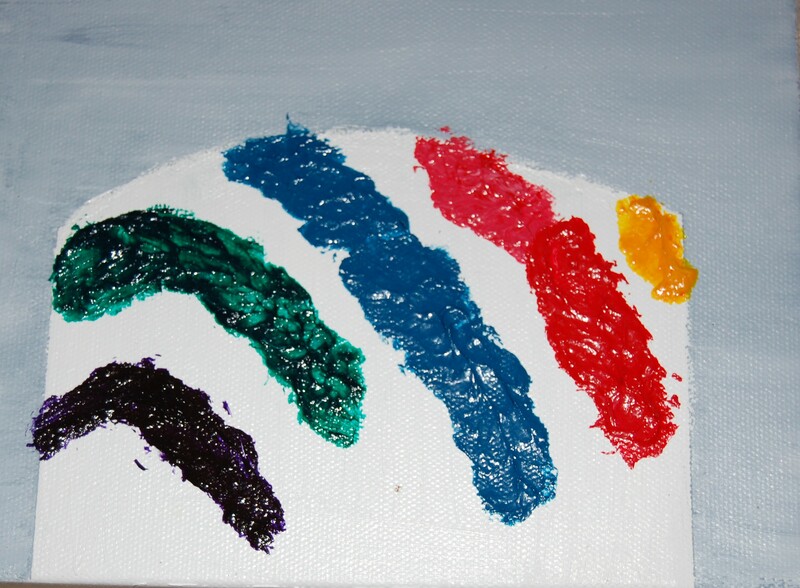 My painting was not going to turn out well at all if I relied solely on my non-existent skill. 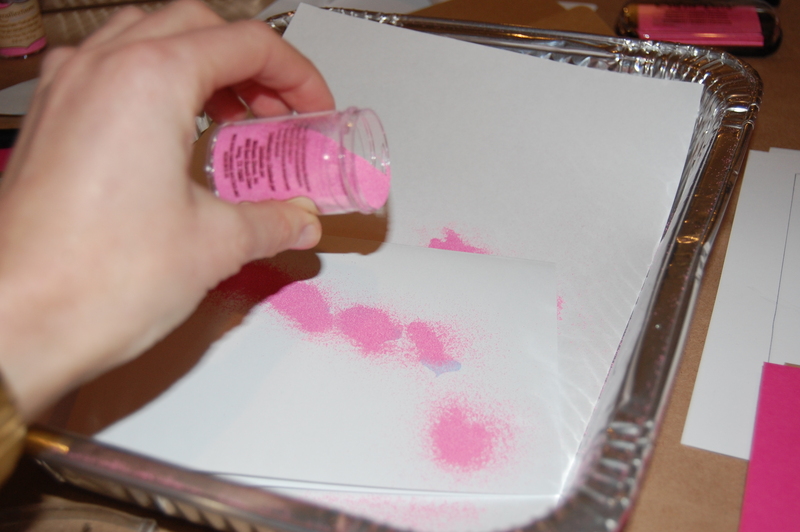 So when Patrick offered some heavy gel to thicken the paint, I had a light bulb moment. 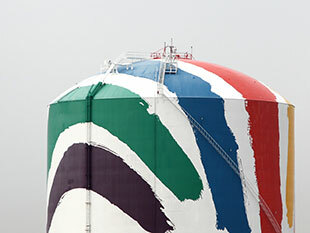 If I glopped the paint on my canvas, it may look like the large strokes of Corita Kent’s gas tank, without me trying to duplicate the exact strokes. As I spread the thickened pain on my tiny canvas with a palette knife I realized my plan was working, and I think Patrick thought so as well. While this was certainly not as exacting as his style, he seemed to appreciate my approach, which meant a great deal to me. Best of all for me, I was having fun and not getting too caught up with getting it right. 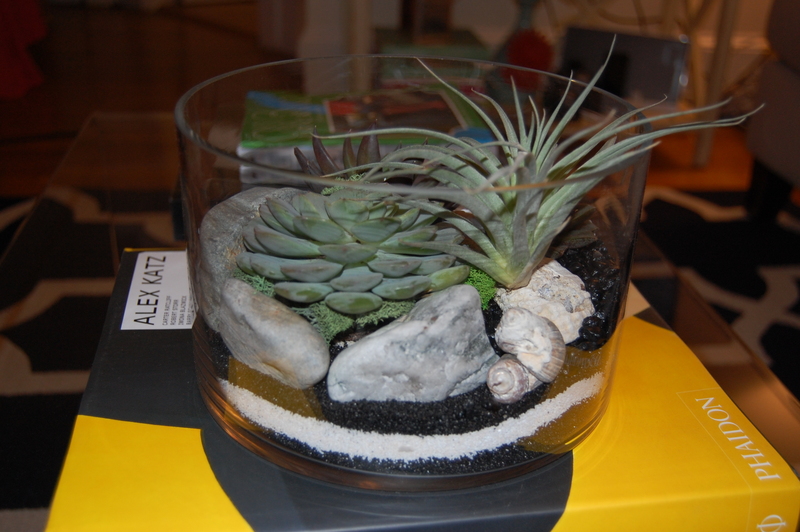 And my water tank turned out very nicely, not to be immodest. I was really proud of myself. The best part of the whole experience was getting a window into the mind and detailed work of a very talented artist who taught me that maybe being a little Type A isn’t so bad after all. I’d like to thank Patrick Shea for taking the time to show me his work and talk art with me. 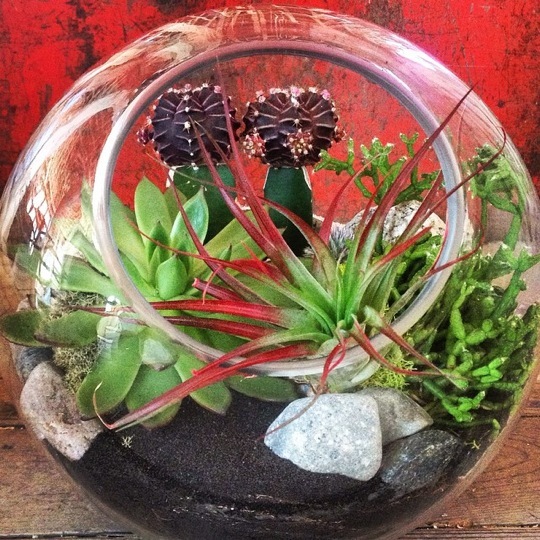 New England art lovers, track this guy down! I was not compensated in any way for this post. 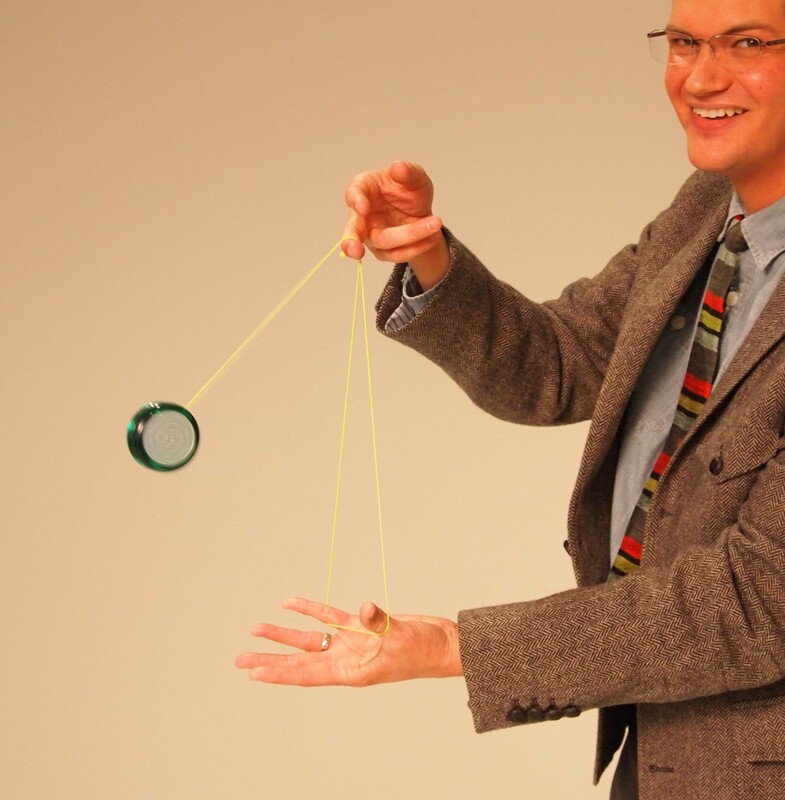 When I was a youngster we had a babysitter who had the best trick to keep my brother and I entertained for hours. After my parents would leave for the evening, we’d roll up the rug in the foyer and he would break dance for us. He would spin on his back while we squealed with delight. Then we would take turns laying on our backs and spinning each other like tops. Since then I’ve always wished I could break dance, so it seemed about time to give it a whirl. “B-Boying” is what I, and maybe you as well, think of when you say “break dancing.” It’s largely characterized by hand-to-floor contact. B-Boying (or in ladies’ cases B-Girling) is the east coast style of break dance. “Poppin’” involves rapid muscle contractions, sharp well-defined actions, body waves, and other forms of contortion to create the illusion of the dance. It originated on the west coast. 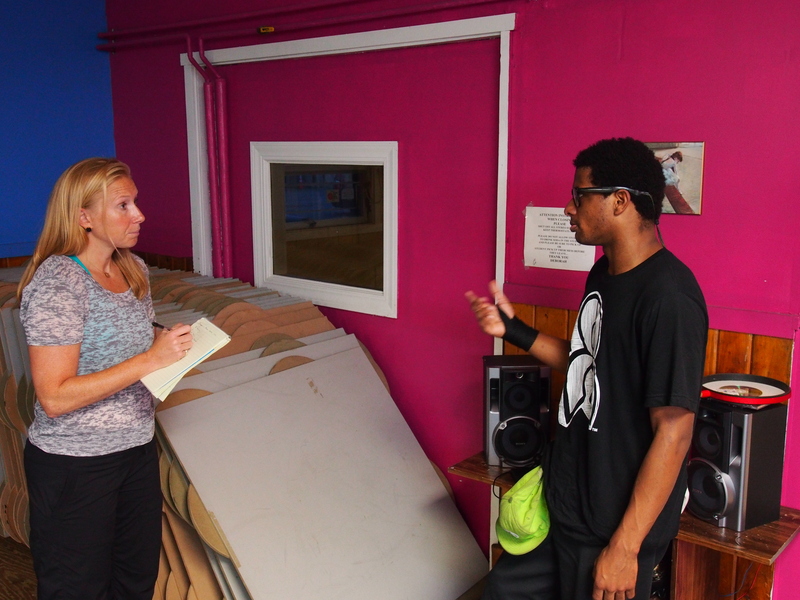 Tony DeMarco of Boston BBoy agreed to help make my childhood dream come true at his practice studio in Cambridge. There, he and his colleague, Dragon, set out to turn me into a dancing queen, or at least a B-Girl. As you may have noticed, one of my big problems is my lack of flexibility. As a runner, my hamstrings are really tight, so this left me unable to get my legs where they needed to go while keeping my hands on the ground and maintaining my balance. Then there is the fact that I don’t know my left from my right. Yes, I know what you’re thinking. How is that possible? That is a whole other blog post, but needles to say, being directionally challenged made it hard to follow Dragon’s instructions. When I tried to combine all the movements and pick up the tempo I toppled over. There’s nothing quite like losing your balance over and over again to make you feel like a total klutz. 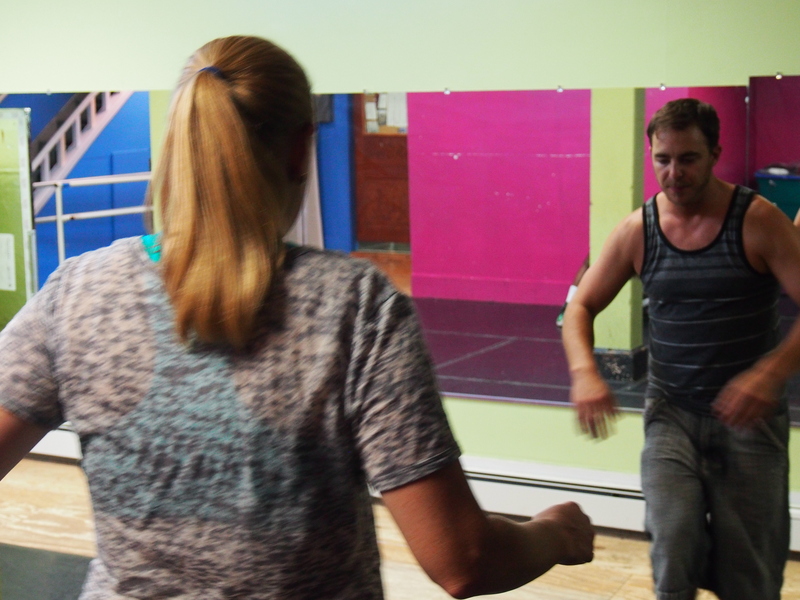 Tony then took over the lesson and showed me the moves performed on two feet. I was correct to assume that I would be much better at this part. There are some simple steps—tapping your toes at the corners of an imaginary square on the ground—that once mastered (and thankfully I was able to do this) you can start to have fun with improvising arm movements. This part reminded me to those goofy old dances like the “sprinkler” and the “shopping cart.” Tony and Dragon encouraged me to think of a story or situation and tell it through movement. Because I was actually able to do these break dancing moves, I had a lot more fun than when I was on the ground. I dubbed my move of choice the “crack open a beer and guzzle it.” It was an instant classic. While I was not personally able to do it, Dragon put the two types of moved together to show me how he break dances at clubs. Traditionally, when a DJ starts playing a record (we are talking about the ‘80’s here) a break dancer is dancing on their feet. When the DJ starts scratching, that’s when a dancer hits the ground, contorts and shows off his spins. In addition to the moves I acquired working with Tony and Dragon; I also gained a new appreciation for the athleticism needed to break dance. You could likely see in the video, Dragon uses a tremendous amount of ab strength to do what he does. It also takes coordination and flexibility (two things I need to work on). Like all the adventures I go on, experts always make their skill, talent, or life’s passion seem effortless. It’s rarely as easy as they make it look. And I do…and that right there…is a victory. I’d like to thank Tony DeMarco and Dragon of Boston BBoy. 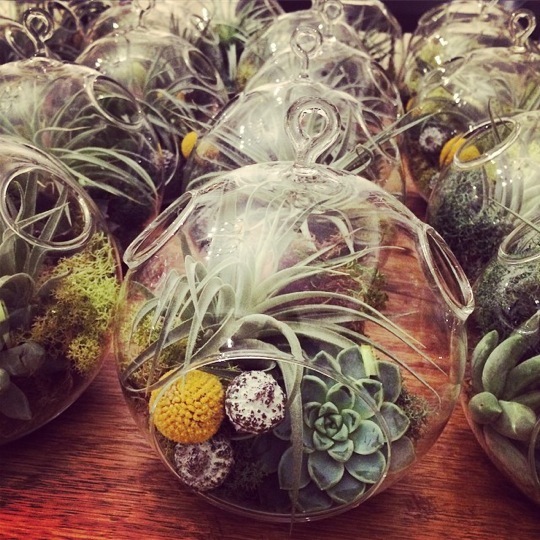 They offer lessons for adults and children, and even do parties and corporate events. If you are interested in learning to break dance, check them out! 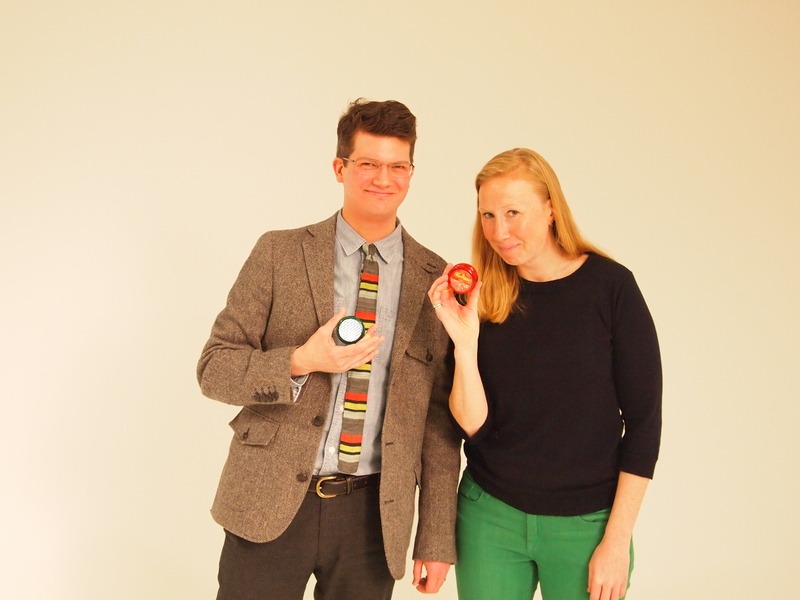 Thank you to Geoff Brownell, my dear friend the best videographer and editor a gal could ask for! I was not compensated in any way for this post. I hope you all had a wonderful Thanksgiving week filled with food, family and fun. To kick-off the holiday season, I am embarking on a festive adventure. No, I will not be taking a turn as a mall Santa (wait, that’s not a bad idea). I thought about what I love about the holidays, and I must admit that it is the holiday music. When radio stations go Christmas before Thanksgiving I bristle a bit, but I soon find myself singing along. So I thought about the most festive instrument I could and then I started hunting for someone to teach me the harp. Angels play them, why can’t I? I found a gifted harpist and teacher in Amanda Romano. She started playing when she was seven, attended the New England Conservatory and has performed at Tanglewood, Weill Hall at Carnegie Hall and the Kennedy Center. She was kind enough to offer me an introduction to the harp. I provided her with the same preface that I will provide you: I took piano for several years as a youngster, but was never very good. In large part that is because I never learned how to read music, so I knew anything that tested my limited musical ability would be a major challenge for me. Like the pro that she is, Amanda started our lesson with a review of reading music. And by “review” it really seemed as if this was the first time I heard any of this. We went over notes, how many beats are in a measure, time signatures and how to tell which hand I was supposed to use for which notes. 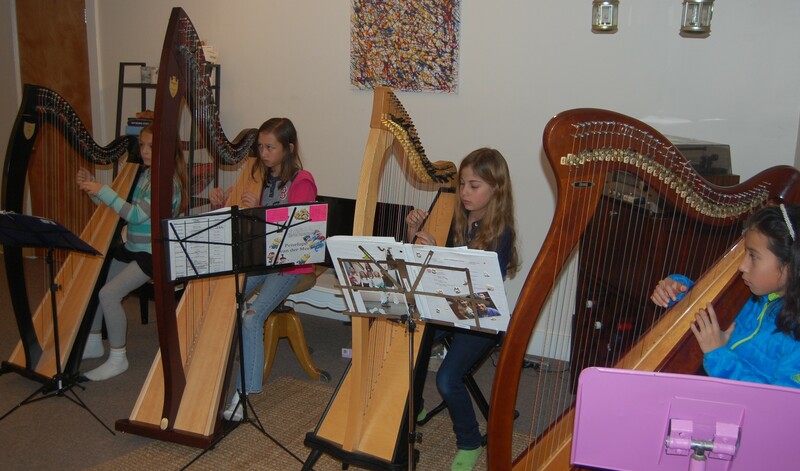 Then we moved to the harp and which strings correspond to which notes. 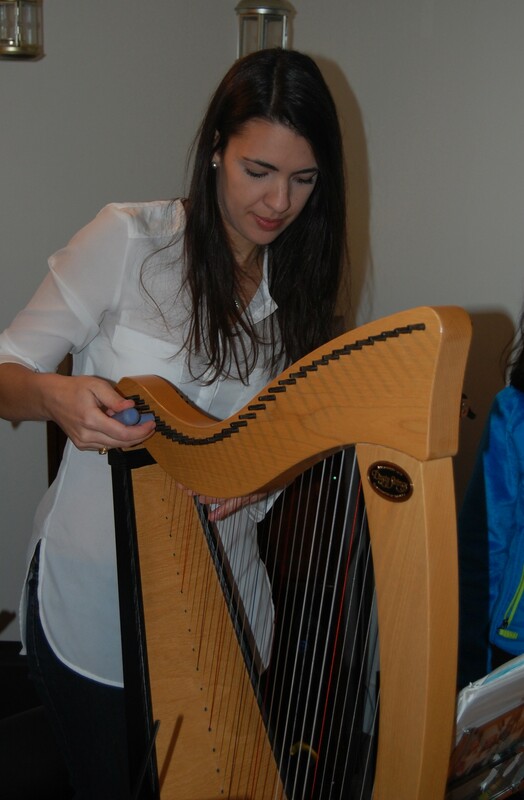 That’s when I lowered the harp on to my shoulder, and laid my fingers on the strings (which thank goodness are color coded in the case of C and F) for the first time. Playing the harp is all plucking, unlike guitar which utilizes both plucking and strumming motions. I have pretty lean fingers, but I kept hitting neighboring strings so the sound was not clean. Plus my eyes were playing ticks on me; I wasn’t able to easily focus on the strings as opposed to whatever was happening on the ground below it (and in this case it was George, Amanda cat who served as my first audience). 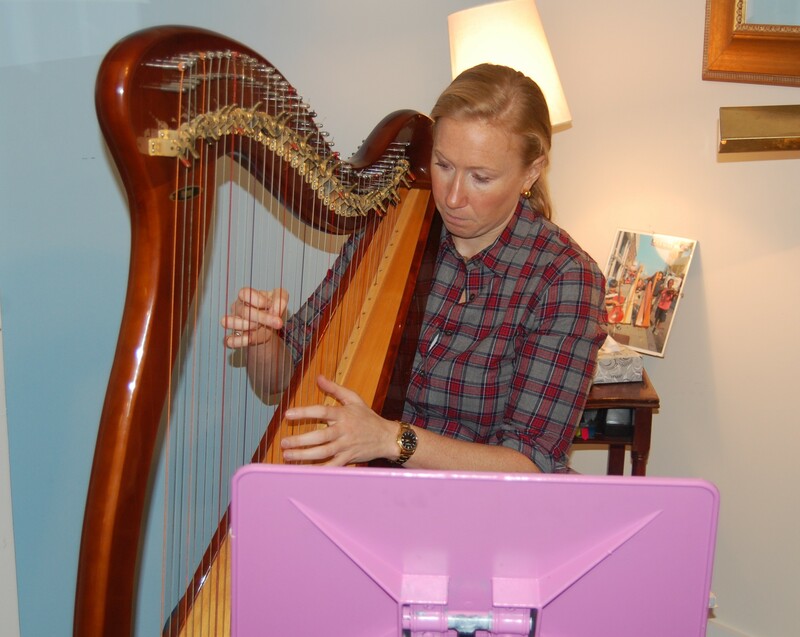 Amanda assured me that my eyes were not particularly weak, that every harpist has the same problem when the start and getting dizzy is an occupational hazard. We moved on to “Somewhere Over the Rainbow,” and I found that being familiar with the melody actually enabled me to cheat a bit (can you cheat when playing an instrument?) by plucking the stings not based on the sheet music, but on based on my memory of the song. I guess I’m not tone deaf after all! Amanda said that her adult students typically get frustrated when they aren’t able to master something immediately, but I was laughing. I was laughing at myself when I was bad and laughing jubilantly when was good. This was probably the biggest complement of all. And yeah, “Hot Cross Buns” is pretty easy, but it felt like a huge accomplishment in the moment. My bubble burst, however, when five little girls came in for a lesson after me. Their version of the Nutcracker March put “Hot Cross Buns” to shame, and showed me how much work I had ahead of me if I want to continue with the harp. It also put me in the perfect holiday spirit. 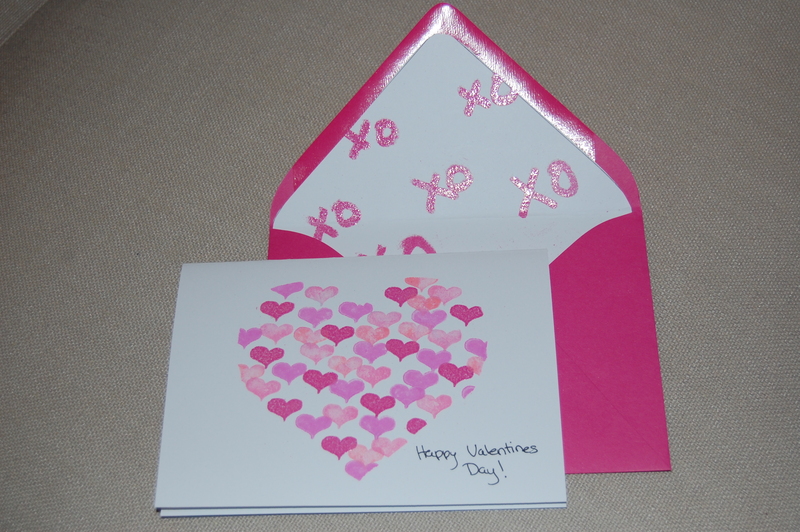 Thanks go to Amanda Romano, a talented harpist and teacher. She offers lessons to all ages, and is as god with adults as she is with children. I was not compensated in any way for this post. Sorry for my absence from the interwebs last week, I was trying to squeeze the last few drops out of summer on Nantucket. And while I may have been on vacation from posting, I was not on vacation from doing! I made the most of my time “on island” by learning about possibly the most authentic Nantuckety thing there is: the Lightship Basket. Nantucket Lightship Baskets are distinct in their design and materials, but their origin was less well-known to me, so I rode my bike over to the Nantucket Lightship Basket Museum and got a lesson on this island tradition that dates back over a century. Before we talk about the basket itself, lets talk about the history. Nantucket is a 105 square mile island off the coast of Cape Cod. It has 10,000 year-round residents, but that number swells to over 50,000 during the summer months. Nantucket was a whaling town for much of the early 19th century, and lightship baskets’ circular construction resembles the barrels which were used to hold whale oil. 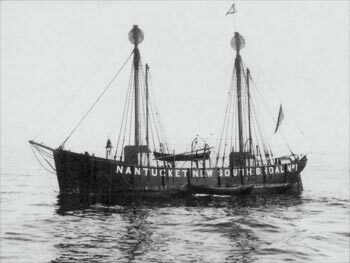 In the second half of the 19th century many former whalers were stationed on lightships off the coast of Nantucket. A lightship is a moored ship that acts as a navigational aid; think of it as a floating lighthouse. These ships would be moored for months and their crews could get pretty bored. To help pass the time they started weaving baskets, using some of the skills they had acquired on the whaling boats. The baskets have a circular wooden base, and before 1860 these baskets were made free-form, meaning they were shaped without using a mold. 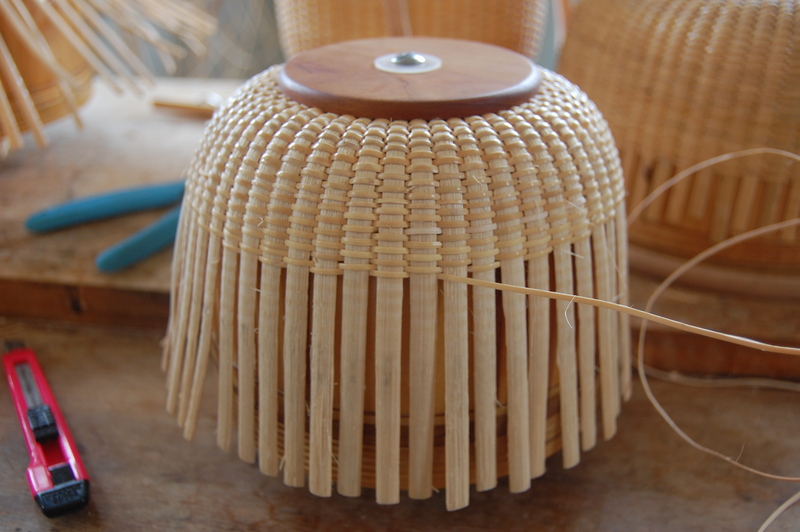 These days’ rattan staves are wedged into the wooden base and the basket takes its shape based on a mold. The longitudinal staves have to be exactly equidistant all the way around the base and then rattan reeds are woven one row at a time by hand. 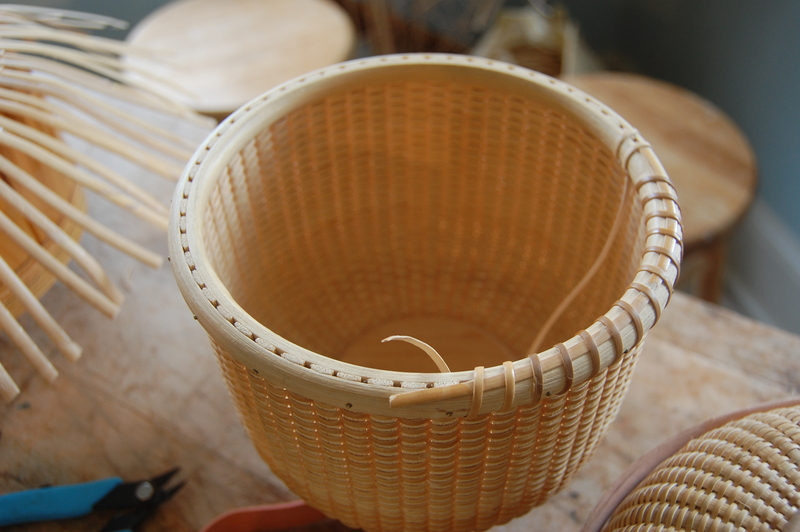 The top of the basket is lined with an inner and outer rim, then escutcheon pins are used to hold it in place. Finally cross lashing secures it all together. 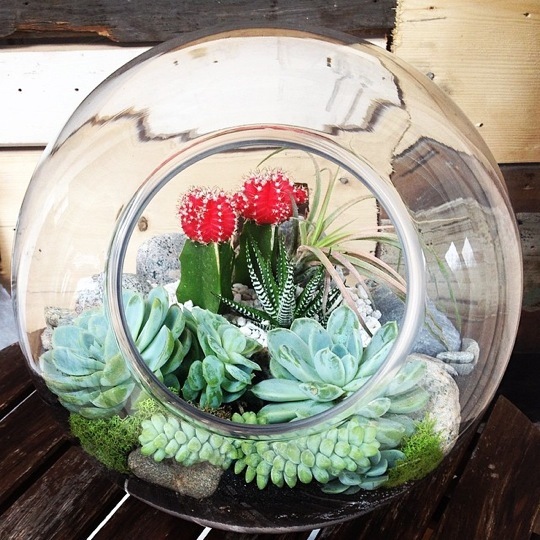 The average 6″ round basket takes about 40 hours to construct. After 1900, the baskets stopped being made on the lightships, but they continued to be made on the island and were sold to tourists. Still today you can’t go more than a block in town without seeing a classic basket hanging from a woman’s wrist or in a shop window. 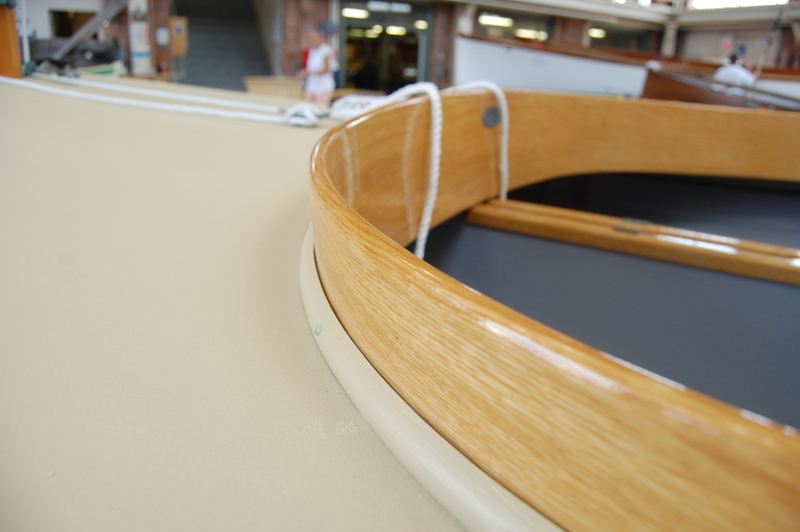 The inner and outer rim has been put in place and the lashing is being woven in. 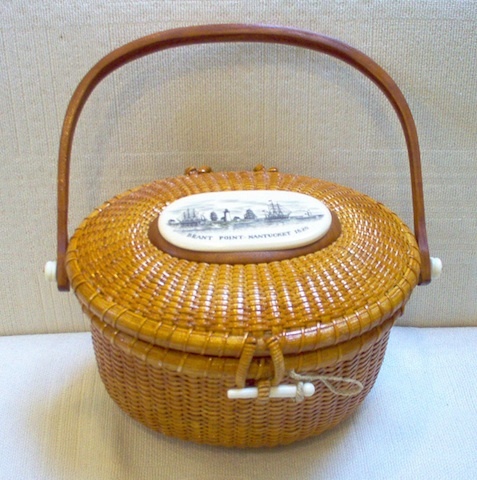 In the 1940s a talented weaver named Jose Reyes created the “friendship basket” and turned Lightship Baskets from utilitarian to a fashion statement by creating a loosely fitted lid for the basket and mounting a carved whale on top. Since then local weavers have been pushing the envelope further by using scrimshaws (another old whaling tradition), and by making clutches, bowls and even bracelets using the same rattan weave that has become identifiable on and off Island. Ashlie Emery works at the museum and has been weaving for 20 years. She took me through all the steps of making a Lightship Basket and let me try it myself. 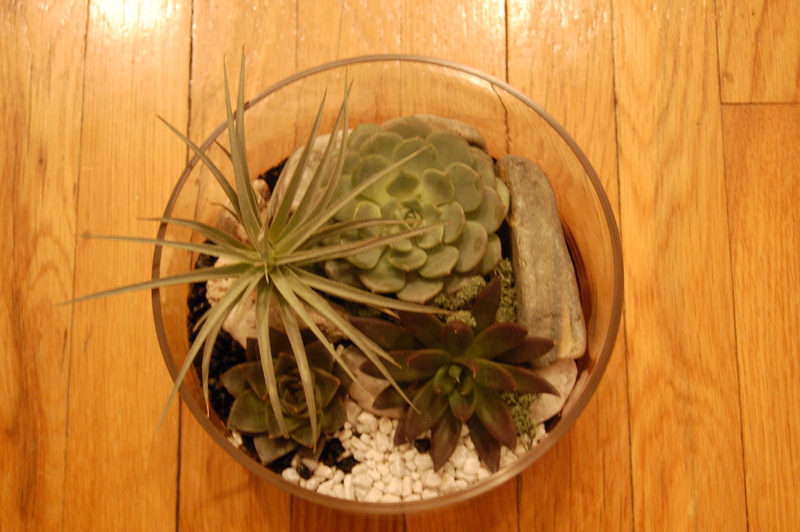 It was fun and calming at the same time. You really have to concentrate on weaving the very thin reeds over and under the staves. I was so focused on weaving that I could not think about anything else and I was able to quiet the constant monologue in my mind. And that rarely happens. 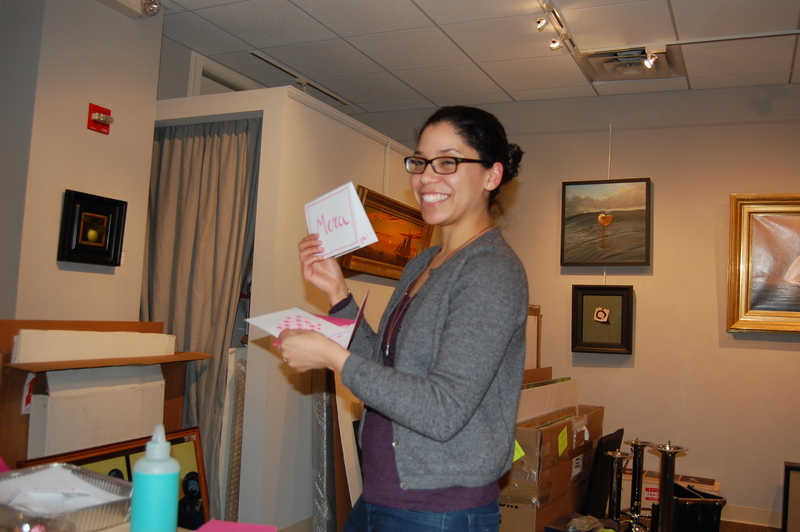 Weaving is something anyone can learn (the museum even offers classes for children), but Ashley said it takes time and dedication to become really good. And obviously, those who are really good live on Nantucket. According to the museum staff, there are only 10 professional weavers on Nantucket, meaning they make their living making baskets, and many of them can trace their weaving “lineage,” (meaning those who taught them how to weave) back to the same few early island weavers. There are also tons of hobbyists, who may occasionally sell their baskets. But still to this day most baskets are signed by they artist who made them as they were a hundred years ago. It struck me that the tradition of these baskets is so much more authentic than one would originally assume. There are tons of objects that are intrinsically linked to their place of origin, but with Nantucket Lightship Baskets the tradition is traced through generations and that tradition continues today with fathers teaching sons. There is also a strong sense of pride associated with the baskets and their history. 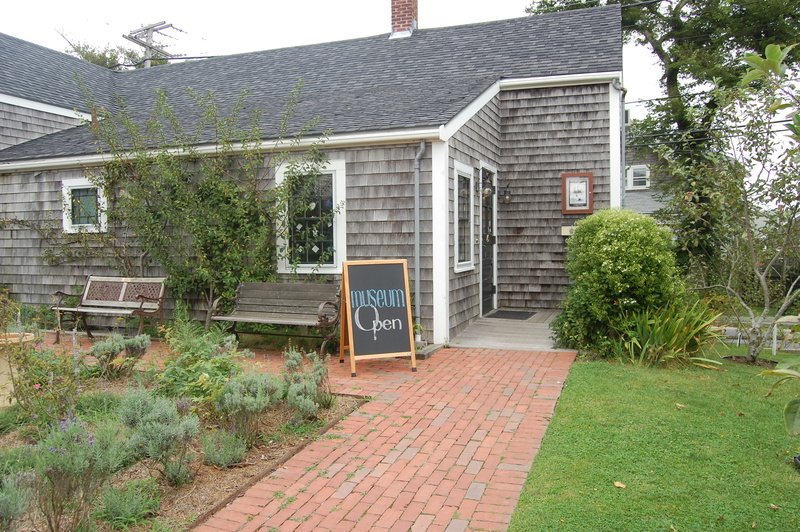 The Nantucket Lightship Basket Museum opened 14 years ago and has a passionate staff and Board committed to celebrating the heritage and continuing the tradition of this island and its baskets. Many thanks to Maryann Wasik, Executive Director of the museum, and Ashlie Emery, for taking the time to teach me all about making this truly authentic Nantucket tradition. The museum is open from late April until Columbus Day and it is well worth a visit. I was not compensated in any way for this post. Come on, just for a second. Thank you. Now picture the most perfect summer seascape you can. Don’t worry, I’ll wait. What do you see? I’m willing to bet that your mental image, like mine, involves an elegant boat; sails billowing in the wind, golden wood gleaming in the sun. With all this in mind, it seemed only natural that I would learn how boats are built in these waning days before Labor Day. A few weeks ago I was in Newport, Rhode Island and was lucky enough to spend a good part of a day at the International Yacht Restoration School. 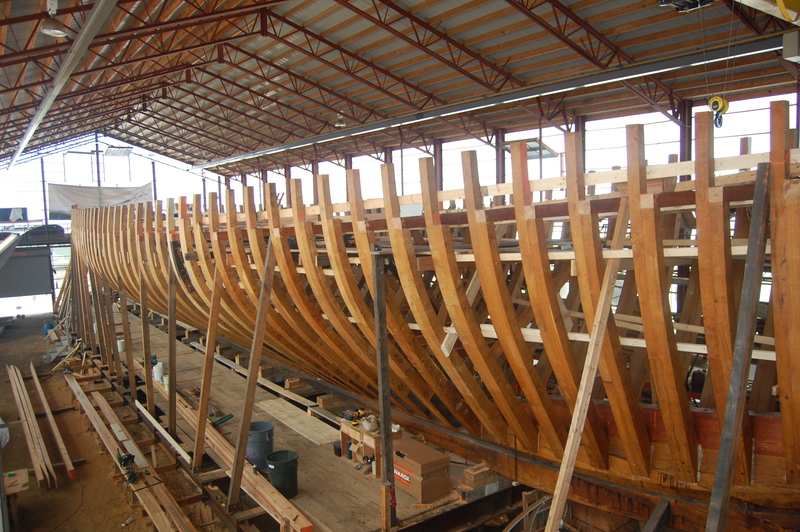 IYRS, as it is known, offers career training in three disciplines: composites technology, marine systems, and wooden boatbuilding & restoration in its facility right on the water. While there were a few students hard at work, classes for IYRS’ two-year boatbuilding program were not in session, so Joel Senger, an IYRS graduate and boatbuilding instructor, served as my seaside sensei, walking and talking me through all the steps involved in restoring a wooden sailboat. While Joel and I discussed me returning in the fall to get my hands dirty, there is so much that goes into hand-building these boats that I think this introduction is just about all I could have handled for the first time out. 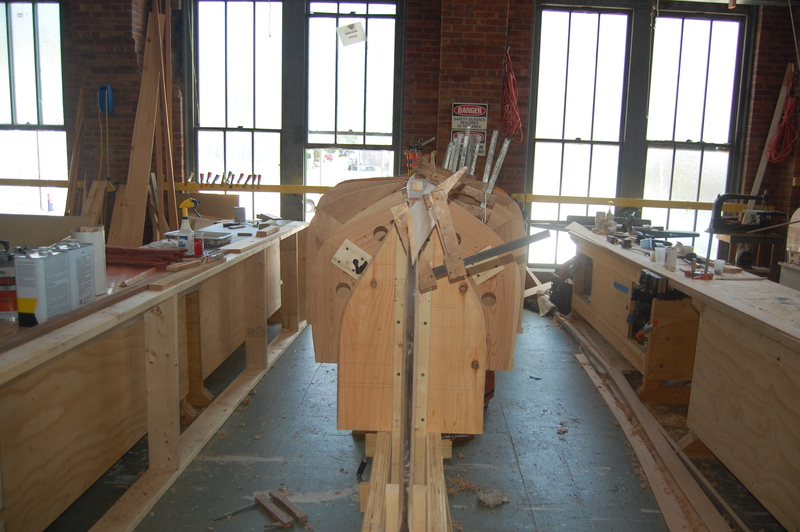 IYRS’ approach is very practical: students learn how to build the vessels by “restoring” them. They take a boat apart first, and that informs how they build it back up. This is the same approach I took while learning to upholster: I had to take the chair down to its frame to understand how it all goes back together. Of course, the homework at IYRS has to be sea-worthy, and my wing chair just has to sit in the corner and look pretty. First the ribs of the boat are put in pace. Lots of clamps are used. One of the most fascinating aspects of IYRS is out back. 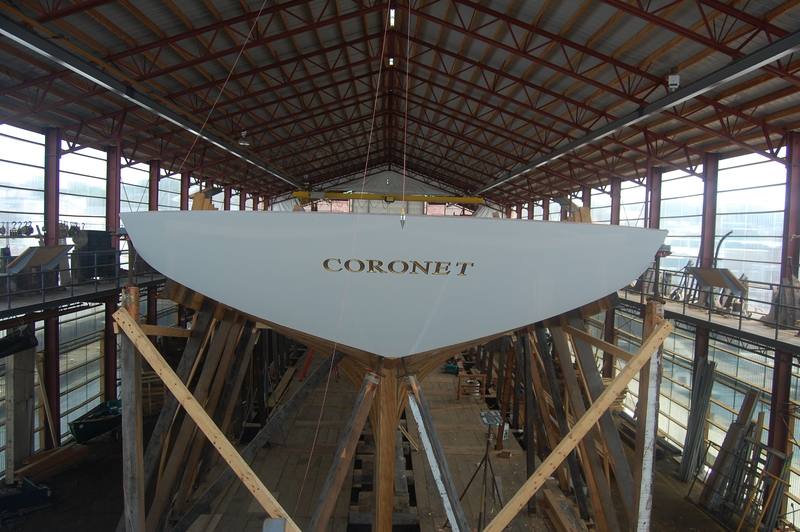 It’s the Coronet: a 130-foot long schooner yacht built in the 1880’s and is painstakingly being restored (i.e. re-built) by five people. Its scale is as impressive as its history. When someone pops out of the framework of the boat you get a first-hand look at exactly what went into building it 130 years ago because they are still doing it all by hand. All the furniture that had been bolted down inside the Coronet, now lines the walkway that surrounds the work area, and that too proved to be a history lesson with the upholstery of some chairs fraying, revealing the horse hair used to cushion the seats (today in addition to springs, raw cotton or foam is used instead). IYRS is a special place; I could tell that from just spending an afternoon there. 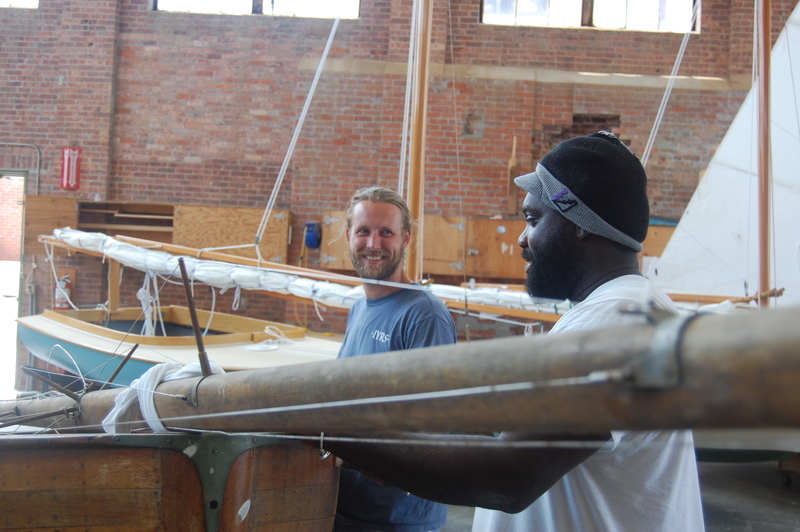 Joel is a perfect example; he did not sail before coming to IYRS, and had never lived in Newport. 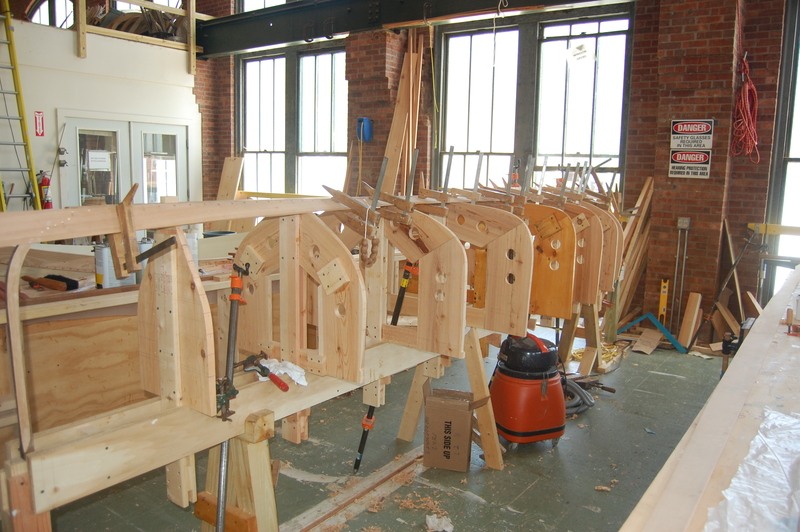 Ten years later he is still here, teaching the boat builders of tomorrow. He says the program changed his life and now he gets to be a part of changing the lives of students ages 17 to 68. Students spend minimal time in the classroom, they learn by doing, and sometimes they just don’t want to go home at the end of the day. That is when you can tell when someone has a real passion for something, when there is nothing else they would rather be doing. 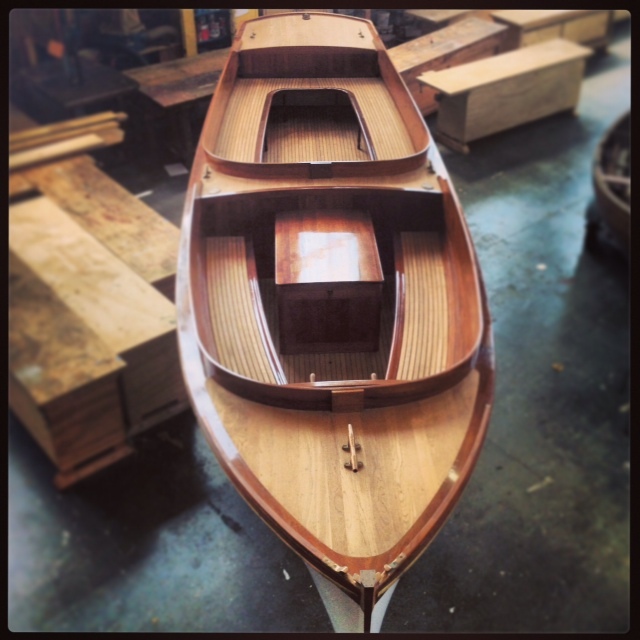 Thanks to Joel Senger for sharing his knowledge and time with me, and giving me a great introduction to boatbuilding and IYRS. I was not compensated for this post in any way. We are T-minus five days away from my stage debut. As some of you read, I worked with the amazing voice coach Christine Kasparian in preparation to sing in public for the first time since freshman year of high school. If you have no idea what I’m talking about you can get up to speed here. What? You can’t wait until next week to hear how I did? Well then, you are in luck, because you can attend the concert! It’s this Saturday, August 17th at 7:00pm. It will be held at the black box theater at the Mansfield Musical Arts Society in Mansfield, MA. Don’t worry, I’m not the main attraction. Some accomplished performers who will be singing pop songs as well as Broadway hits. Tickets are $22 and you can purchase them here. All the amazing singers (that would be everyone in the show except for me) are donating their time and all the proceeds from ticket sales are going to help a wonderful Massachusetts couple in their adoption battle for the little girl they’ve loved for three and a half years. If you come, look for me in a corner of the lobby doing a shot for courage! I’m a stereotypical first-born: Type A, ambitious, overachiever. 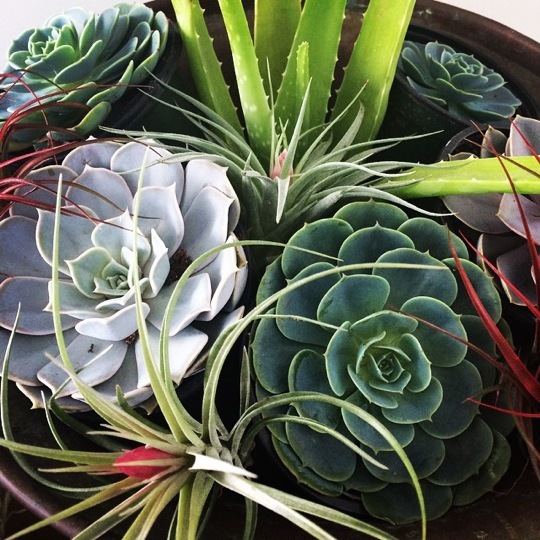 As you may have already read on this blog, my brother and I are very different creatures. He’s the creative one. He’s an accomplished artist (you can check out his work here), and I’m immensely proud of him. That doesn’t stop the competitive older sister in me from coming out from time to time. I’ll never be as good a painter as he is, but that fact didn’t stop me from trying. So when the folks at Paint Nite asked me to try out one of their painting parties I jumped at the chance. 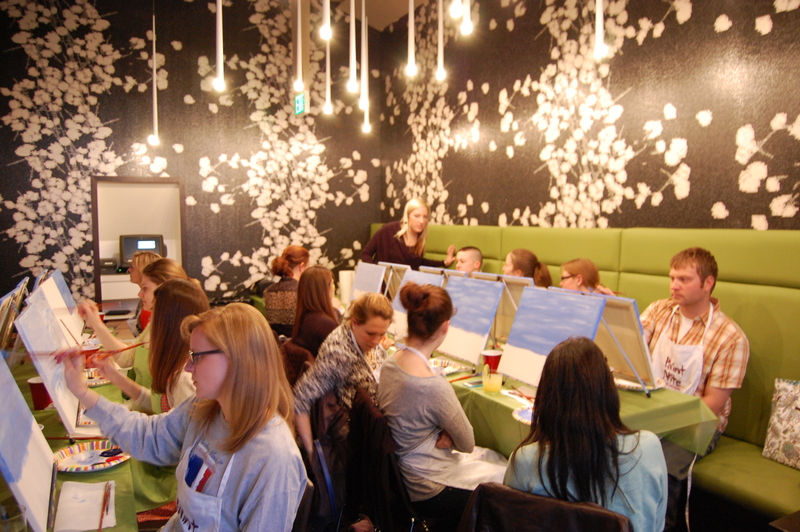 Paint Nite has become a Boston (and ‘burbs) bar staple over the past few years. 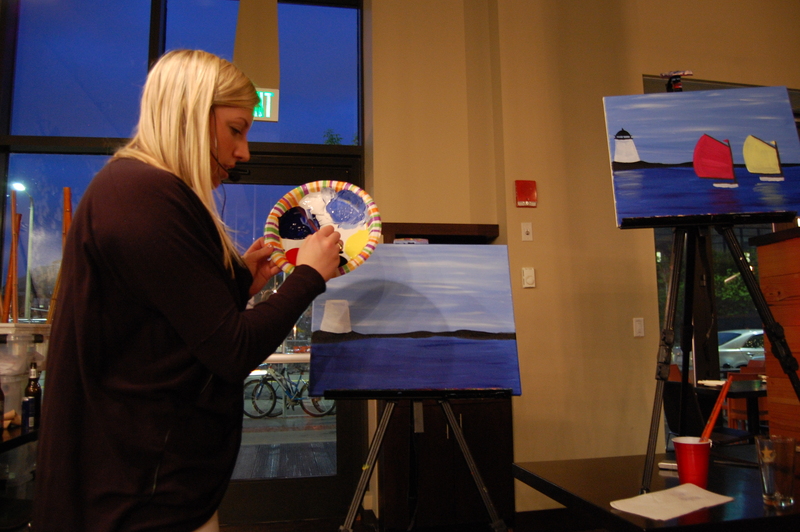 At its core it’s a series of laid-back night of drinking and painting held at different Boston area bars and restaurants several nights a week. You can check out their website to see their schedule, sample paintings and to sign up. When it came time for my friend Diana and I to choose when and where to get our paint on, we did what anyone with discerning taste would do: we chose our location based on what we would be painting (their schedule is organized, not just by date and location, but also by painting and artist leading the class). The prettier the better. 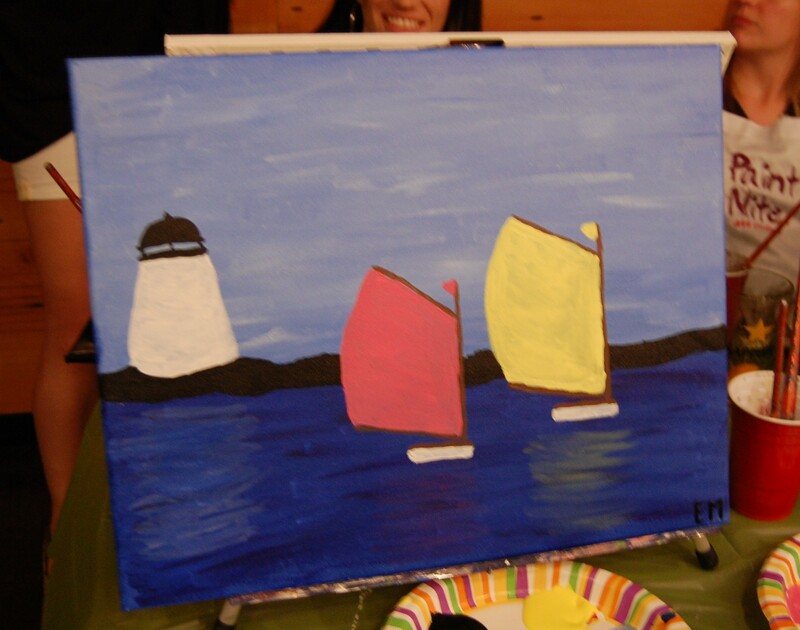 There are dozens of painting sessions to choose from, and in the end we chose a sail boat scene. We arrived at Basho and took two front row seats, I figured I would need an unobstructed view of our instructor (and more importantly, her canvas) if I was going to create something with even the slightest resemblance to what I was supposed to. My first clue that this would not be a dark, hipster, artsy night was the artist who would be leading us in our sailboat soiree. Erica Pearson was cute, personable and not dressed in all black. She led us step-by-step through the painting, pausing to work her way around the room as we completed the water or a sail. I had my doubts, but it was actually fool-proof, literally. 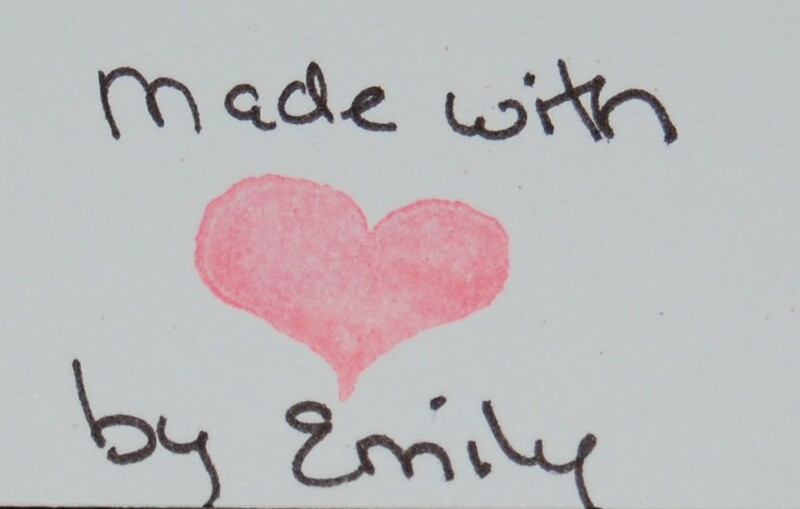 My stick figures are nothing to write home about, but whether it was Erica’s explanation or demonstration (or maybe I was touched by divine artistic intervention) I was able to paint the heck out of those sailboats, the water and even the reflection of the sails against the water. The latter was the most difficult part of the painting and required a very specific water-to-paint ratio on the brush. I may have let out a squeal of frustration, but Erica and Diana we able to talk me off my oil-paint covered ledge. My lovely friend Diana with her work of art. 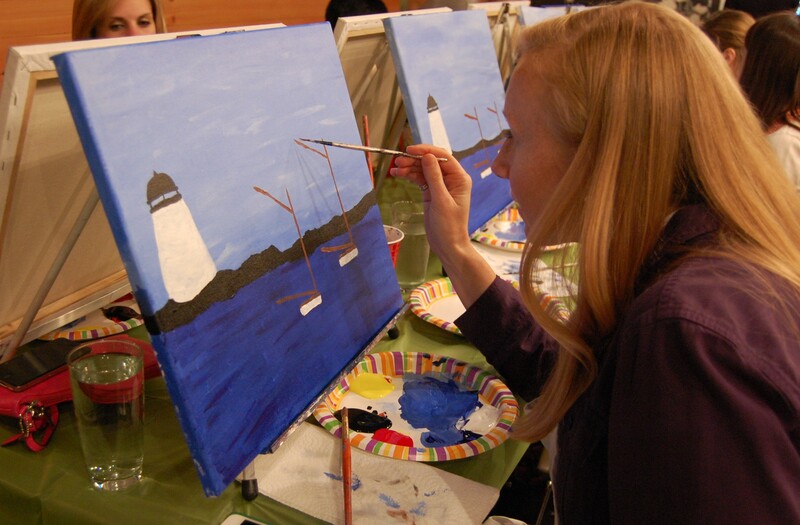 Paint Nite is tons of fun for people of all levels of artistic inclination. Through the end of July, they are offering my readers a 15% discount. If you live in, or around Boston, and want to commune with your inner artist, use the code greatwidepainters when you sign up to received this discount! 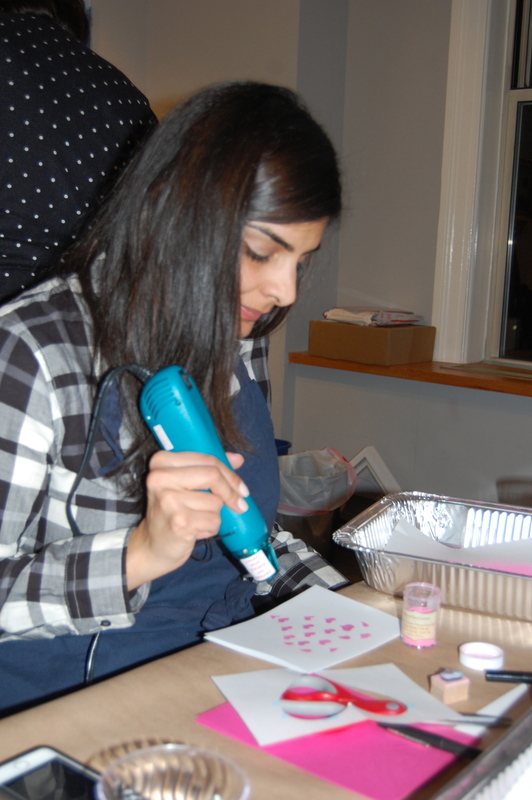 Paint Nite allowed me to spend a night with them at no cost, but as always, all the opinions expressed on this blog and authentically my own. Thanks to Daniel Mahlman for his generous feedback. After weeks of practice, I am ready to reveal not only my new-found yo-yoing skills but also the first Great Wide Open Digital Short. It’s like an SNL Digital Short, but without the soundtrack, and less funny…but only slightly (I hope). Let me know what you think, and if you’d like to see more of these videos. Don’t worry, They won’t replace my witty written posts, I like writing way to much to give that up. Enjoy! So as you can see, while I did display a “marked improvement,” I’m still not very good. 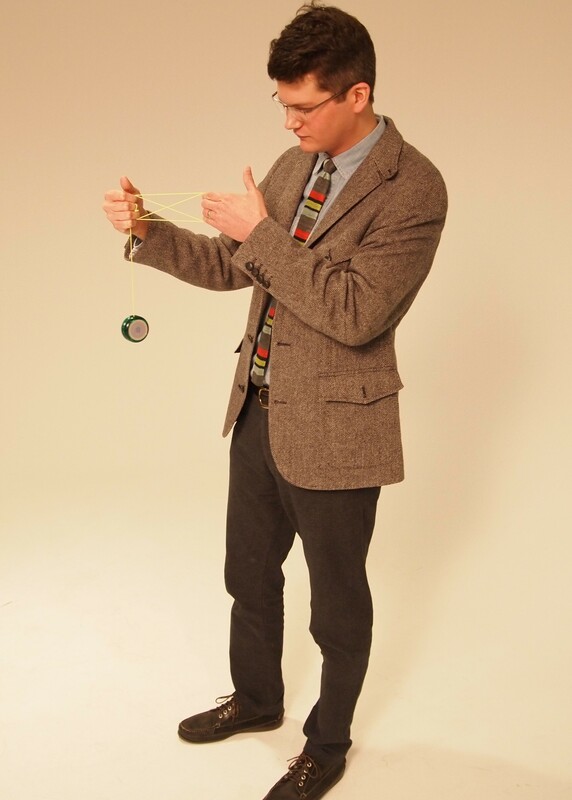 But far more important than that, I had tons of fun learning all things yo-yo! Before this adventure I didn’t realize the skill and dedication it takes to be a good yo-yoer, and I had no idea how popular yo-yoing still is. 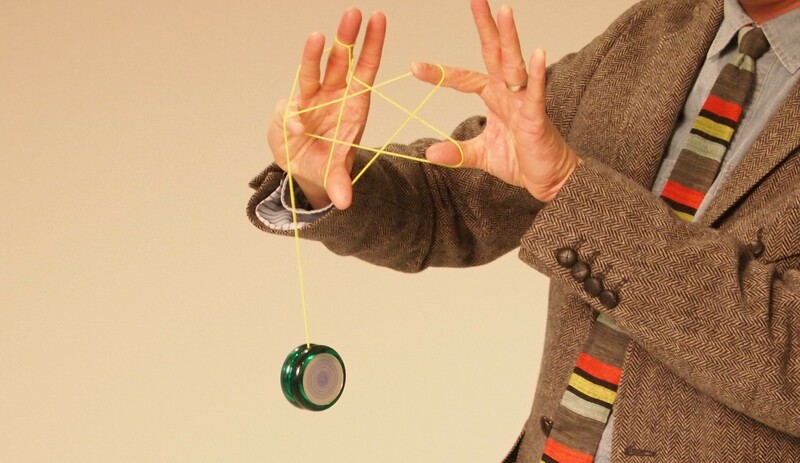 When I mentioned this latest adventure I received tons of questions about the tricks I was learning, and what type of yo-yo I was using. I felt as if I had suddenly gained entry into a cool club…a club I never knew existed. Thanks again to Adam Nelsen for being a patient and supporting teacher. And an extra special thank you to my friend Geoff Brownell for shooting and editing this video. A wonderfully fun partnership has begun!